Item Removal – Clean Sweep, Inc. If you build it, they will come — and drop off their old couches, desks, refrigerators and more! 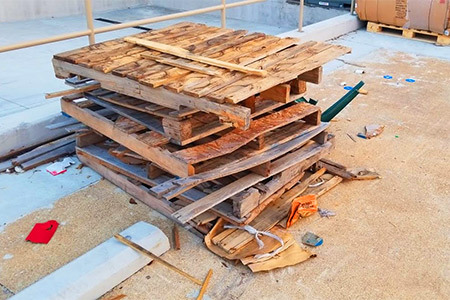 With the rise in the cost of disposal in the last few years, the incidence of large item dumping on commercial property has gone through the roof. When your property is the victim of ‘midnight dumping,’ give us a call and we’ll expedite pickup of the item(s). This is a low-cost but completely necessary service that we provide quickly, knowing that the items are a blight to your customers until they go away. Just let us know if you have items you need removed. Need the ultimate list of why you should choose Clean Sweep, Inc. for your property’s needs? Download the “Why Choose Us” document and when you need us, we’ll be there for you!